Traveling and learning are two things that can perfectly complement each other. With this, if you are planning a holiday anytime soon, consider visiting a place where you can also learn. Below are some of the destinations that can provide an educational experience for every traveler. 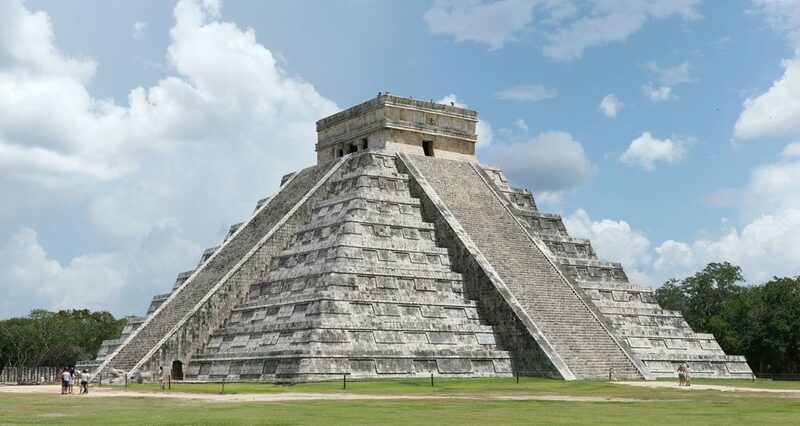 The best thing about this destination is that while you can enjoy the beach, you can also visit Mayan ruins, revel in their beauty and enjoy being educated about their historical significance. The ruins of Coba and Chichen Itza, which are located in Cancun, are some of the attractions that you should not skip. The Puuc trek, meanwhile, will also be a good way to discover more about Mayan history. Known as a city of worship and pilgrimage, exploring Jerusalem can be a history lesson. There are countless monuments with an interesting past, which will tell you how the city transformed into what it is today. The City of David, which is the oldest part of Jerusalem, is one attraction that you have to see. You should also visit Temple Mount, which is recognized as one of the best holy sanctuaries. The Church of the Holy Sepulchre, the Armenian Quarter, the Via Dolorosa, Mount Zion, and the Mount of Olives are other must-visits. If you have a fascination with Greek mythology, then this city that should be on your bucket list. The Acropolis of Athens, Old Olympic Stadium, and The Parthenon are some of the best landmarks that will make your holiday incredible. The entire city is like an inviting open-air museum. If you want to take in all the sights without tiring yourself out, why not go on an electric bike tour? In a time wherein many cities have forgotten their rich past, Rome dares to be different. It is home to a number of well-preserved monuments that are not only beautiful, but rich in history as well. One of its most popular attractions is The Colosseum, which used to be the venue for gladiatorial shows and public celebrations. Pictures do not do this mighty structure justice; you really need to visit to fully appreciate it. You also need to see the Trevi Fountain and toss in a coin if you want to return city one day. The proximity of Stonehenge to London is just one of the reasons why it attracts a lot of tourists. This pre-historic monument has standing stones that form a ring. Each stone has an average height of 4.1 meters, width of 2.1 meters, and weight of 25 tons. Historical records point out that it could have been built around 3100 BC. Known as a British Cultural Icon and a UNESCO World Heritage Site, it is one of the most iconic landmarks in the world. If you visit during the sunrise on the summer solstice then you will find yourself rubbing shoulders with thousands of other visitors. It was in 1812 Petra was discovered by a Swiss explorer. Also known as the ‘Lost City’ and ‘Rose City’, it is recognized as one of the Seven Wonders of the World and is also a UNESCO site. You’ll be in for a treat here as you view the incredible temples and pillars that are carved into the stunning pink cliffs. You won’t be able to miss seeing the magnificent Al-Khazneh, (otherwise known as The Treasury) which is one of the worlds most astoundingly intricate and elaborate temples, if you’re an Indiana Jones fan you will recognize it instantly!